Volume 30 of The Hacker Digest consists of articles published in 2600 Magazine from 2013 to 2014 on nearly 100 subjects of interest to hackers and those who want to understand what hacking is all about. In addition, all of the popular payphone photos, back cover photos, and expanded front cover photos are included in this volume, along with regular columns on telephony and the computer and communications industry. There are also Hacker Perspective columns - from both well-known hackers as well as some new voices - describing their experiences, thoughts, and philosophies on the subject of hackers and their place in society. 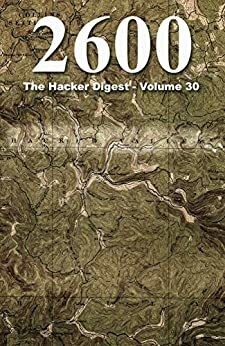 Finally, the book is rounded out with one of the most popular features: the letters to the editor (200 in this edition), often with biting retorts from the 2600 staff.